Merry Christmas , Happy Hannukah , Happy Kwanzaa , and Happy Holidays , Villagers! Whatever holiday you celebrate this season or if you're just enjoying the beginning of the winter season, we have a very special present for you today. 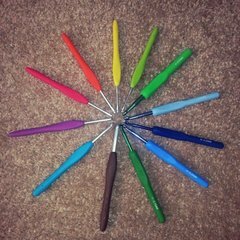 Several weeks ago, Rachel retired from Crochet Pattern Central and turned the site over to another company. We know many of you are disappointed with the changes that company has made to the site and with the lack of any new patterns being added to the site over the past month. A free pattern directory seems a perfect match for Crochetville, but with our friend Rachel so lovingly caring for Crochet Pattern Central, it didn't make sense for us to have one as well. But now that things have changed, we are creating the free crochet pattern directory of our dreams. We have spent the past few weeks developing Crochetville's very own free crochet pattern directory. We have the basic structure in place, but it's not very complete right now, as we're sure you'll notice. We hope you will enjoy the features we've built into this site. We hope that as we populate it with patterns, our free crochet pattern directory will become your go-to site when you need help finding a free crochet pattern. 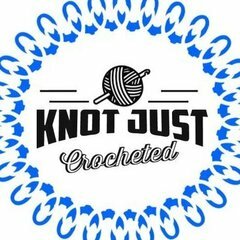 Please go check out our free crochet pattern directory. Take a look at the new features and let us know what you think about it. We would love for you to add links to your favorite free patterns or any free pattern you run across when browsing the internet. Just follow our easy tutorial. Please submit only free crochet patterns. Please submit only patterns that have at least one photo. All submitted links will go into a moderation queue for review by our team of volunteer editors. If you have at least a few hours (or more) a week you'd be able to spend helping edit the directory, let us know! We hope to have 5-10 editors so nobody feels overwhelmed. We have a team of 4 already in place, but we'd love to have some more. We're anticipating there will be a lot of patterns submitted during the first few weeks with the volume slowly declining after that. Please Contact Us if you'd like to be a volunteer editor. We're thinking of having some special giveaways when we reach certain milestone goals for the number of patterns in the database. Maybe for our first 1,000 and then for every increment of 5,000? What do you think? Does that sound like fun? We hope you're as excited about this new directory as we are! Now go check it out! Oh that is fantastic and since we all love Crochetville it can become our 'Ville Pattern Central. I just submitted the site to StumbleUpon and am sharing it with all my SU friends. Thanks so much for the wonderful Christmas gift. What an awesome Christmas gift!!! Love what I have seen so far. Going to do some more pattern browsing! Wow! I love this idea. I'm so glad that you all like this! I hope we can quickly get it full of pattern listings and make it really helpful and useful for all of you! What a great Christmas gift! Thank you so much! I love it! Thanks for the wonderful Christmas gift! What a brilliant gift to the members of Crochetville! When I opened up the site this morning, I had no idea something so fabulous would be awaiting us. Thank you so much Amy and Donna and Merry Christmas! You're welcome, everybody! Merry Christmas! It looks awesome! Merry Christmas to all at Crochetville! Thank you so much. The ville is like one stop shopping!! So do we login with our Crochetville names or start something new? The software is separate from the Crochetville forum, so you will need to start a new account to save favorites in the pattern directory. Sorry 'bout that! You don't need a login to add patterns, though. That's wonderful! Thanks Donna and Amy! I jumped right in and created an account with my Cville name. I think that since the new directory is so new that most of us can create an account with our usernames here before they're taken. I did the same. I love this already! I love this - and thanks so much for the wonderful present that just keeps on giving year round!!!! I added a few patterns yesterday and am now just waiting for them to be approved so they appear. It was easy to add patterns and the process works smoothly. Can't wait to get this full of lots of crochet patterns. Oh this is so great. Now you have made it even better for us.